Beading is a fun, affordable, engaging, interactive, theraputic, inspiring hobby. But what if you would like to take your new found beading skills to the next level and turn this into a business? In this area I will be covering options, methods and avenues to persue this. This will be a work in progress so I hope you visit back often to see what's been added or if you would like to be kept up to date on new information added on this topic be sure to sign up for my updates and newsletters. Learning to make jewelry can be very thrilling. The sense of achievement putting little miscellaneous parts together to look like a finished product. Then what? If you choose hobby then proceeding forward is easy. You buy your supplies and make your goodies and either keep or gift your items. Very straight forward. But what if you want to start a business, then there are lots of decisions to make. Which direction of business will you want to pursue? Thinking of selling your handcrafted jewelry in retail setting? Sounds great. How will you proceed from here? This is a great way to distribute the work of getting your pieces out. Consigning helps eliminate you physically have to tend to sales. The majority of your work will be finding the locations for consignment. Buy bulk and sell retail. Lots of inventory but also lots of control of what you will carry. Do you have a specialized item that you want to carry, will it be general items. Maybe it's just tools that you will offer. The choice is yours. Make it about what your interest, your passion, what speaks to you. You have to love what you are doing to have the stick to it attitude. AAHH, now we're talking my language. I knew the moment I created my first piece of jewelry (a bracelet) that teaching others the beginning steps was what I wanted to do. I had no one to show me, I couldn't find anyone to show me and when I was learning there weren't nearly as many on-line resources that are available now. So this became my life's work, bringing the beginning beading classes to you. I started in a craft store, parks & recreation, in-home classes and a variety of other places to teach classes. It took a while but I finally learned the method of teaching that was the most productive and kept the class flowing and moving forward.. I will share more on this as I continue to develop this home. But if you can't wait until then you always have my permission to contact me and ask your questions. Once you discover what direction you want to take your beading business then work it, stay focused and love what you are doing. Keep in mind, is this a hobby or is it a business. Once you have that defined the only place to go is up. Share your comments with us on what direction you are going, what steps you will take and what you have learned along the way. We look forward in hearing more from you. 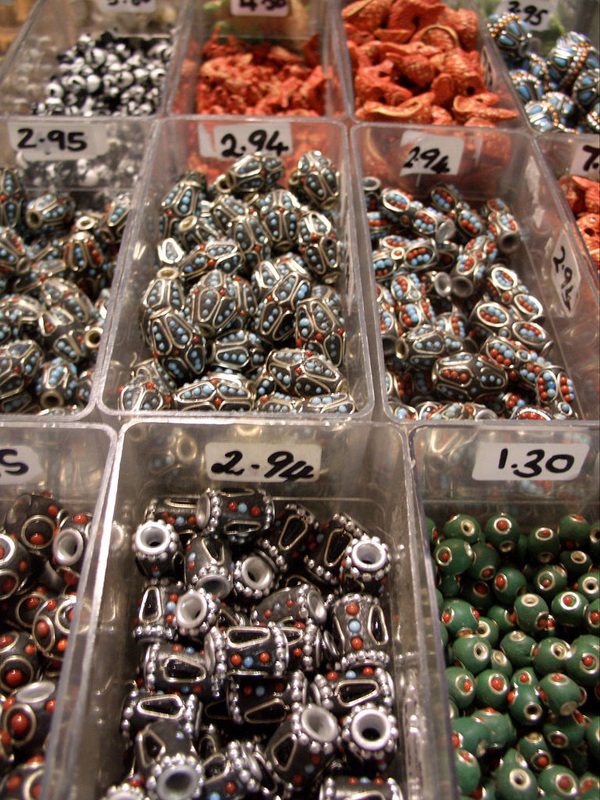 As the beading inventory continues to grow how will you keep track of all those little pieces? Consider investing in a beading software to help you manage. This software will keep track of all your pieces, pattern recipes and will even help you price out your work. It's worth the investment for the time and frustration you will save and you will be miles ahead with how organized it will keep you.